Just how many storms are there in the world at any given time? In a presentation just given at the EGU GA 2011, recent results show that previous estimates are probably too high. Dating from the 1920s, assessments assumed approximately 1800 storms were active at any given time. This figure was revised in the 1950s to 2200-3600, although it sank back in the 2000s with satellite date. Now, however, the World Wide Lightning Location Network, operated by the University of Washington in Seattle, has revised this figure and the initial results show that it could be much lower... perhaps even as low as 750. However, there is great seasonal and daily variability and these results are preliminary at this stage. However, if their suggestion is validated, it will give us a new view on these atmospheric effects. World-wide lightning detection is often done by detecting VLF radio bursts. 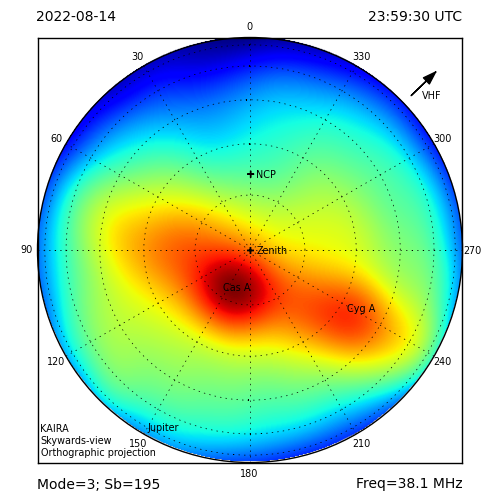 Networks of receiving stations are located all over the world (including at the SGO in Sodankylä). By itself, the SGO station is not very useful, since you need at least three stations to locate a lightning. Also, lightnings closer than 500 km are filtered out (saturation), so we are mostly monitoring lightnings outside Finland. In theory SGO could see any lightnings at any given location, but in reality it cannot see the weak ones and not from the other side of the globe. However, SGO can certainly directly monitor tropical evening activity in Africa, which is pretty remarkable when you think how far away it is. 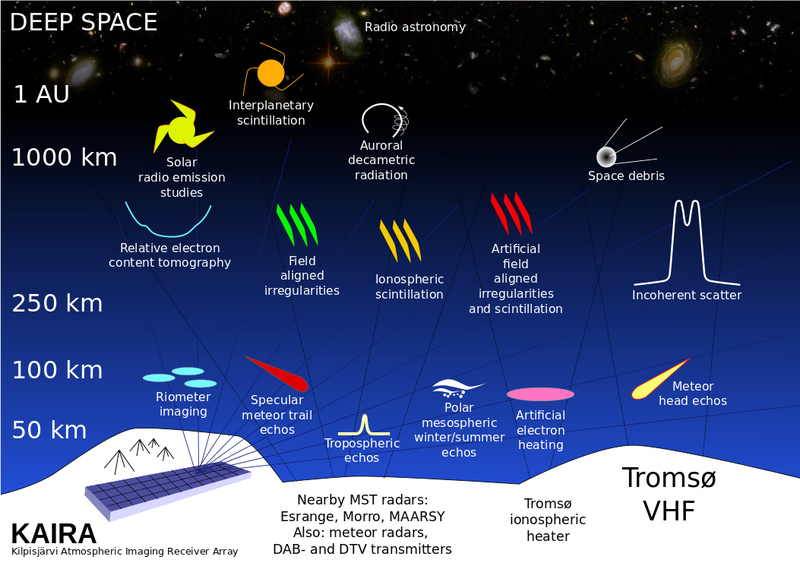 Although KAIRA will not participate directly in this large-scale monitoring programme, its ability to receive VHF radio bursts from lightning will provide an opportunity to supplement atmospheric electrical research.